On April 27, 2014, Korczak USA staff held a ceremony at the Finkelstein Library in Spring Valley, NY in cooperation with Library personnel. The event was well attended by more than 50 people. 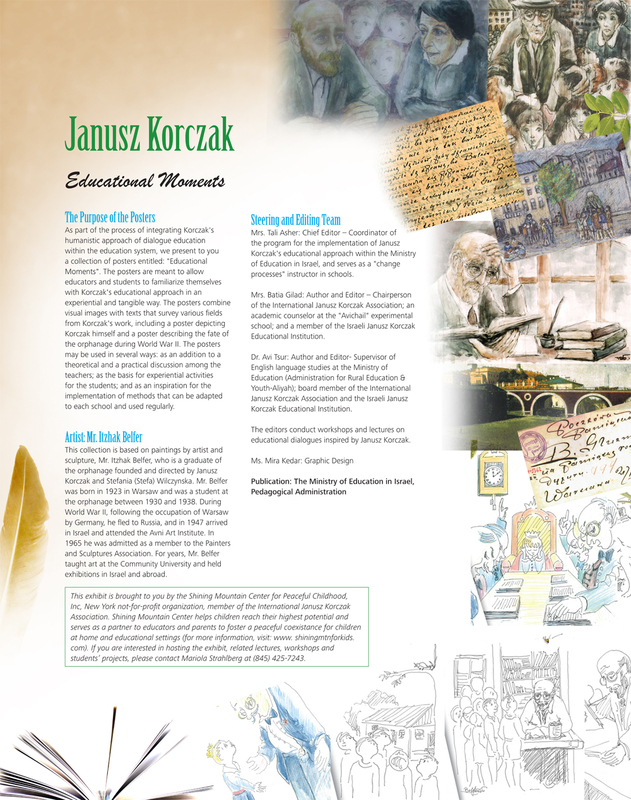 Activities included a reading of Korczak story, an art project for children, prayers and music. Click here to read more. Jerzy Zgodzinski, the founder of Korczakowo and beloved “Chief” to his students who called themselves “Korczakians”, died on June 22 just one week before the 2014 Camp’s opening. The camp, located in an unpolluted forest in Poland, is based on the teachings of Korczak. Click here to read more. In August 2014, during the Korczakowo Camp session, one day was dedicated to creating butterflies symbolizing peace, love and children’s rights. The butterflies were displayed to pay tribute to Korczak and the camp’s founder, Jerzy Zgodzinski who died suddenly just before the camp was to begin. Click here to read more.